At Car‑Wal Garage Doors you can choose from a wide range of different styles and types, ranging from country to modern to traditional. We’ll help you find the garage door that fits your budget, your home’s aesthetics and your tastes. We thrive by providing our clients with end‑to‑end customer service and cutting edge solutions. 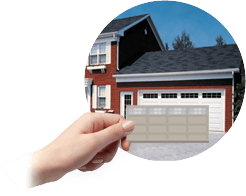 Car‑Wal Garage Doors’s team of experts can offer repairs and maintenance for any garage door or garage door opener. We can also offer installation for new doors and opening systems. Our technicians and installers have worked with Garaga for years, building their expertise, experience and skills. We guarantee a smooth installation every time, and are proud of the superiority and quality our line of garage doors offers. The curb appeal of your home hinges on the quality and design of your garage door. At Garaga and Car‑Wal Garage Doors, we help ensure you’re making the right choice when it comes to garage door design, materials, style and aesthetics. 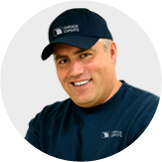 We help you make a decision that will offer decades of peace of mind. With our Design Centre, you can custom create a garage door that will integrate perfectly with your home’s existing style and your tastes. Choose a model from our available options, and then choose the right colour, the right embellishments, windows and more. Our experts help you make a better decision! Too many products on the market? Struggling to find the right choice for you? We have decades of experience with garage doors, and no one knows more about them than Car‑Wal Garage Doors. Our employees can help guide you through the process to ensure that your needs are met in terms of budget, tastes, style and durability. Our team can explain the benefits of different materials and styles, help you find the right insulation for your garage door and then pull it all together into a complete package. Car‑Wal Garage Doors is proud to offer you the best products on the market, and that includes cutting‑edge, reliable garage door openers from LiftMaster. LiftMaster garage door openers offer reliability and an outstanding lifespan, but they also help enhance the safety of your home and family. Thanks to LiftMaster’s Internet technology, you can even control the garage door from your smartphone or tablet, from anywhere in the world. Your garage is more than just a place to park your car. It’s an entry to your home. It’s part of your home’s overall aesthetic. It’s important that your garage door provide safety and curb appeal. It’s also vital that the door and opening system be in good repair. Car‑Wal Garage Doors’s garage door specialists in London, ON, can provide an annual 10‑point maintenance program to ensure just that. Our program includes a complete visual inspection, lubrication of essential components and adjustments to keep everything running smoothly.